Distributed Security Responds To Texas Removing The Limit On Armed Teachers. What do you think? Are we safer with more guns in school? Or is it best to limit the number of armed staff, therefore hopefully more effectively relegating the privilege to the very most-equipped staff to handle such an immense responsibility? The historical record of armed “good guys” on school property since the passage of the federal Gun Free School Zones Act in its final form in 1996 makes this answer an easy one. There has been one – exactly one – documented accident, which occurred in Utah early one morning (before any students were present), when an armed teacher dropped her drawers in a bathroom, and a presumably substandard handgun fell out of a clearly substandard holster, hit the floor and discharged, demolishing the toilet bowl and wounding the hapless teacher, whose leg was struck by a ceramic shard. Context is important: Utah’s law (still in place) allows anyone with a concealed carry permit to carry on school property. 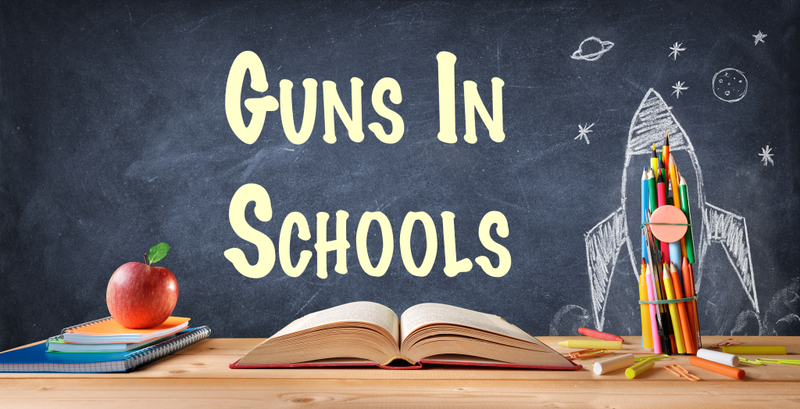 The school’s administration need not be informed or aware; there are no standards or for acceptable firearms, holsters, or ammunition; and there is no training standard beyond the minimal one required to obtain a permit. Since this has not happened again in any Utah school, we might (since we have no access to confidential personnel files) infer that the teacher involved is no longer employed or received a solid education in how to carry and handle a firearm safely; and others took her inadvertent lesson to heart. It is hard to argue with Utah’s record of success with its law over the last twenty years, but a case can be made that there are better ways to provide armed security in our schools. There has been, across the country, not a single case of improper use of force involving a legally carried firearm in a school. Students do not take away teacher’s guns; teachers who carry do not “go off the deep end” and shoot people. Opponents of “guns in schools” can’t stop expressing their fear of these events, but there’s no evidence to support their angst. So there you are: on one end of the scale, only one minor accident nationwide in the last twenty years, and no improper use of force. Against that, we weigh the interesting datum that there appears to have been no shooting – zip, zero, none – in any school in America that has had school staff – or citizens, as in Utah – legally carrying concealed weapons. Note this does NOT include schools with “school resource officers” or other uniformed, armed security personnel, because schools “defended” by those have been attacked, with a very mixed record. At Columbine, and in Parkland, Florida, school resource officers failed to stop the shootings; in a few other cases, they have been successful. But the key thing is that when a potential attacker does not know how many people may be armed in their target location, or who they are, or where they will be at any given moment – they simply don’t come, because they cannot be confident of how long they will have to work their evil intentions before someone steps forward to stop them; they do understand that it would be within the first few minutes, long before police arrive on scene. That is deterrence. So the simple answer to Alex’s question is this: concealed carry by school staff appears to have deterred attack (saving lives from potential threats), while there has been essentially no down side to balance against that sterling record. Local control is key to the success of this approach. 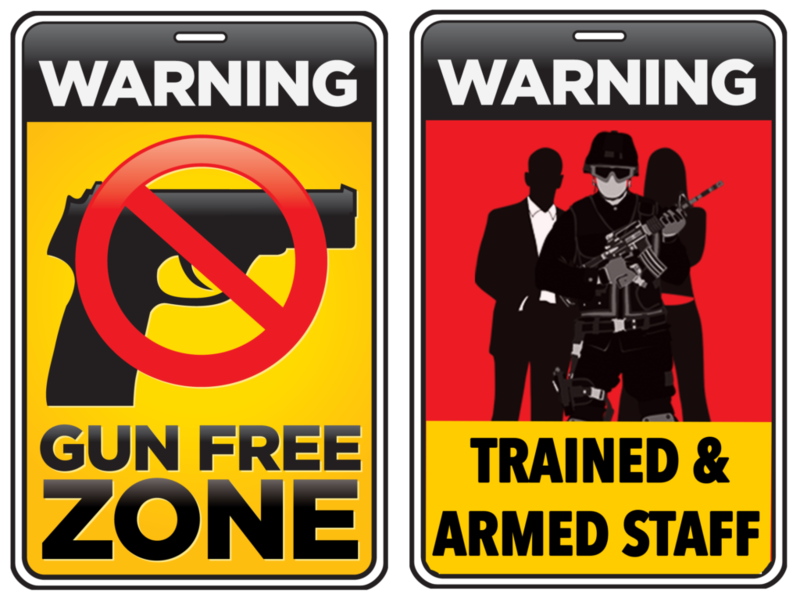 State legislation must establish the legal authority for armed school staff, because they must “license” individuals to carry as an exception to the federal Gun Free School Zones Act. But once that authorization is in place in state law, local school boards – the lowest level elected officials in the nation, presumably responsive to the wishes of their community – must establish policy, and approve armed individuals in their schools. Where a community strongly supports this approach, the school board trustees should ensure that it happens, and provide for careful vetting of volunteers, as Texas does, and establish specific requirements for initial and ongoing training and for the safety and effectiveness of firearms, ammunition, and ancillary equipment. There is no logical reason for a legislature to limit the number of staff members who can be armed in a school; their job, and the school boards’ job, is to set a high bar of qualifications and training, and then support, encourage, and approve every individual who volunteers and meets those standards. The Texas legislature has shown that they understand this simple principle. I have yet to meet a proponent of arming school staff who does not understand the importance of detection and intervention programs to prevent school shootings from occurring. But rather obviously, these shootings do occur, and each time they do, it’s because those programs have failed. Innocent lives must be protected if and when that day comes. Alex quotes one opponent of armed school staff who gets it exactly wrong. Guns in the hands of carefully screened volunteers, who train to a rigorous standard, are precisely that last line of defense, and will deter armed attack or – if deterrence fails – defend innocent lives. “Adding guns to the problem” in the hands of dedicated, well-trained persons is most definitely the solution. Bill Tallen is Executive Vice President – Tactical Operations for Distributed Security. Prior to joining the enterprise he had a 20 year career with the Department of Energy, where he served as a Federal Agent, team leader, unit commander, training instructor, and manager in the agency which provides secure transportation of nuclear weapons and nuclear materials within CONUS. He helped to found DOE’s Special Response Force program, developing and teaching urban and close quarter battle techniques to Federal Agents charged with recovery of lost assets. He has designed and conducted a variety of wargaming efforts in support of vulnerability assessments, security system design, and leadership training, and has taught a variety of crisis decision making models. Bill holds the degree of Master of Arts in National Security and Strategic Studies from the U.S. Naval War College.